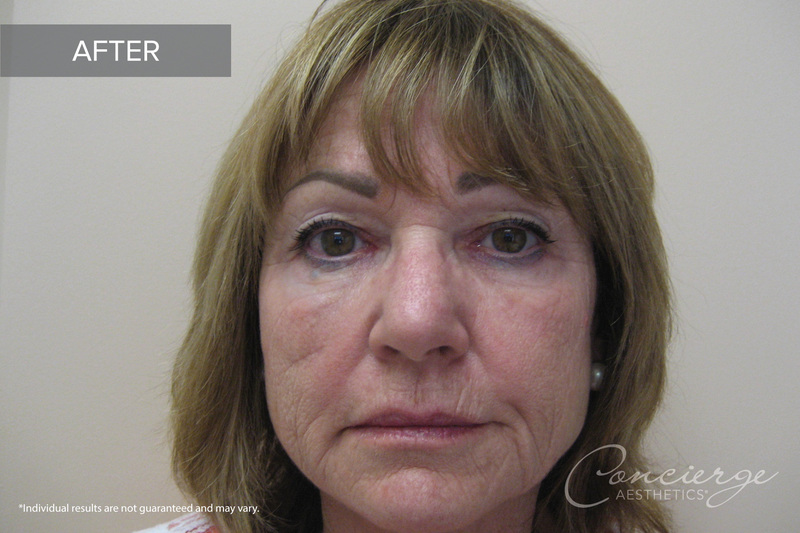 Patient's Area of Concern:Hyperpigmentation, Heaviness and Lines in Her Lower Face, Hollowing in Her Cheeks and Under Her Eyes and Deep Lines in Her Frown and Crows Feet Area. 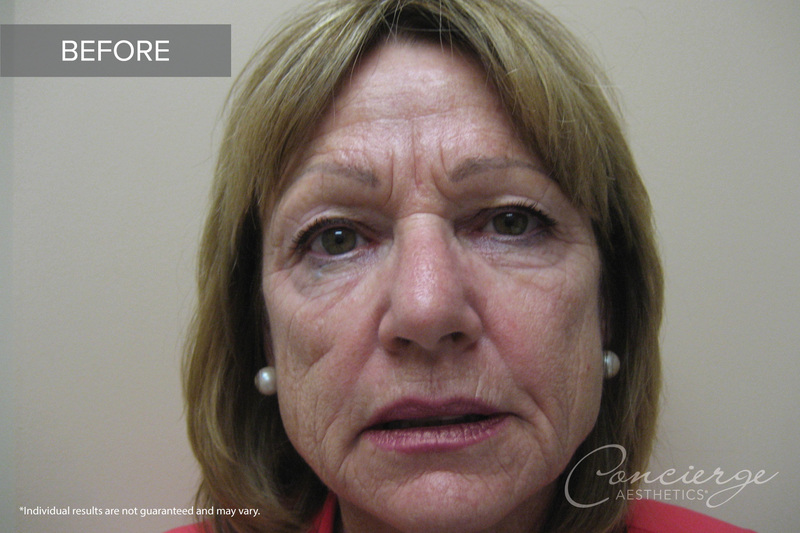 This is a 61 year old female who came to me with concerns of hyperpigmentation, heaviness and lines in her lower face, hollowing in her cheeks and under her eyes and deep lines in her frown and crows feet area. We discussed her concerns and together we designed a treatment plan. Over the course of 3 visits we did a Vi® Chemical peel (now replaced with The Perfect Derma Peel), Botox® Cosmetic in her frown and crows feet, Radiesse® (now replaced with Juvederm Voluma) in her cheeks, jowls and lower face, as well as Juvederm® under her eyes and in the scar on her right cheek. She also started hydroquinone and retinol cream at home to help with pigmentation and skin texture. She is ecstatic about her results and her friends and coworkers are full of compliments about her impressive her results are, yet still very natural.